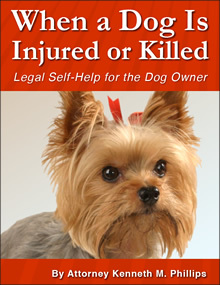 When a Dog Is Injured or Killed - a self-help book showing dog owners and their attorneys how to get compensated for veterinary bills and more. 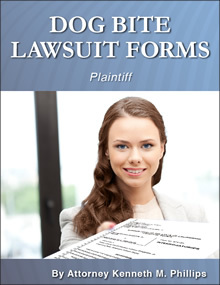 Dog Bite Lawsuit Forms (for plaintiffs) - pleadings, interrogatories, admissions, demand for production of evidence, and much more. Demand Letter and Brief for Dog Bite Case - a checklist, demand letter and accompanying brief, with simple instructions for use. 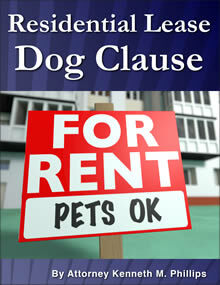 Residential Lease Dog Clause - a landlord-friendly rider to a lease that will help to prevent dog bite claims against landlords. 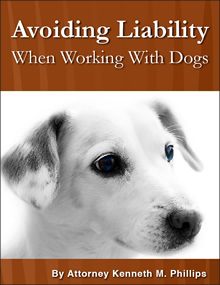 Avoiding Liability When Working With Dogs - ready-to-use contracts, waivers and other legal documents by Mr. Phillips, explained in his 1-1/2 hour video seminar (included). 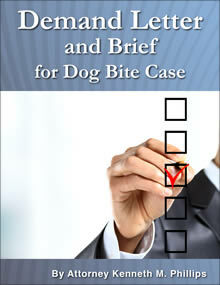 Defending Your Dog - a self-help book showing how to win a case in "dog court." 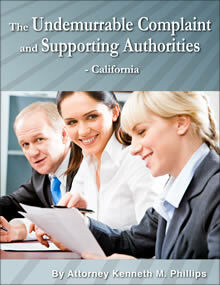 The Undemurrable Complaint and Supporting Authorities (California) - the 7 most important causes of action against dog owners, landlords and others, perfectly drafted, citations included. 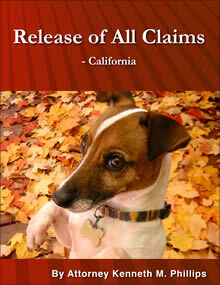 Release of All Claims (California but easily adaptable by attorneys for other states) - uniquely protects the dog owner and his dog unlike other releases and waivers. 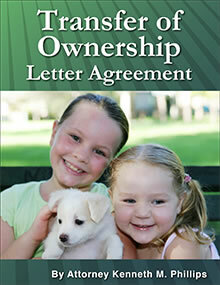 Transfer of Ownership Letter Agreement - avoids liability for future injuries after a dog is sold or given away. Waiver of Liability by a Dog Trainer - gives peace of mind to a dog owner who wants his dangerous dog trained but doesn't want to risk getting sued by the trainer. Dog Training Agreement - helps protect the trainer from liability and makes the client responsible for the trainer's medical payments. 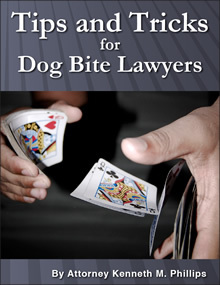 His video of tips and tricks for winning dog bite cases contains information about the law, tactics and strategies which cannot be found anywhere else. what to argue at trial. 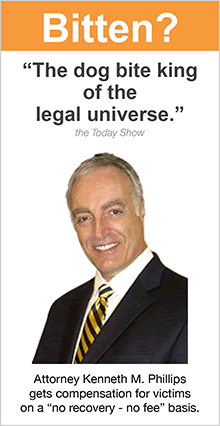 It usually takes one hour on the phone, so tell him what you need and he will respond with an estimate: kphillips@dogbitelaw.com. Don't hesitate: the longer you wait, the further off course you may go.